I love these flyers you get in London promoting the work of African spiritualists. I’m not sure how much cause there is for them in Herne Hill, but who doesn’t want to ‘regain fidelity’ or receive the ‘immediate return of affection and of forever love’? 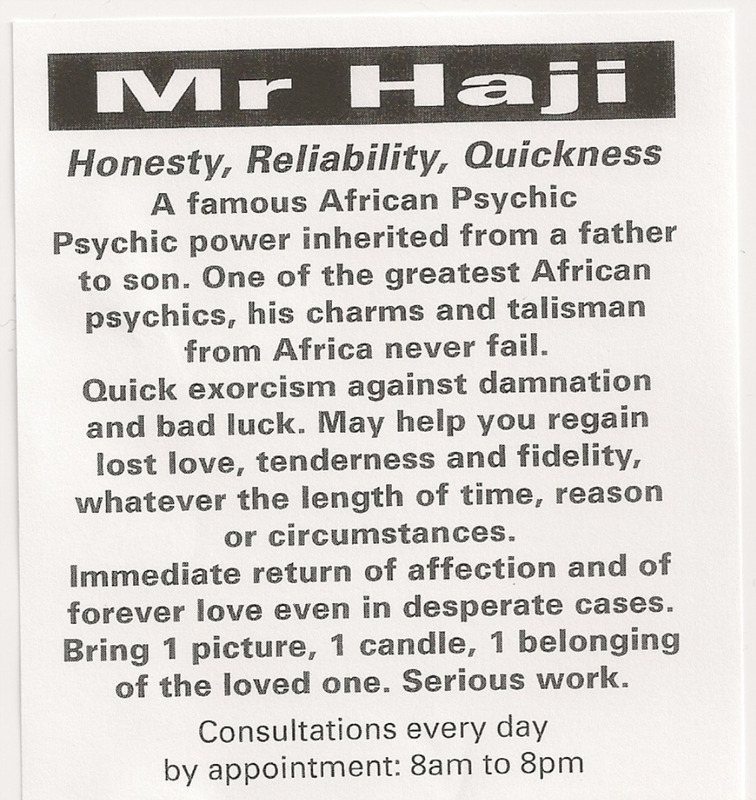 This entry was posted in Herne Hill, London, Mumbo jumbo and tagged Serious work African psychics. Bookmark the permalink. I wonder if John Terry has called him yet?